Mahindra is said to be working on an electric version of its best selling 7 seat SUV – the Scorpio. According to the EconomicTimes, the Scorpio Electric will be in Indian market during 2019, which is less than 2 years from now. Other details about this SUV including battery range and price range are not available for now. Meanwhile, this new development about the Scorpio is at odds with the automaker’s top brass’ statements in the past. In the recent past, Dr Pawan Goenka, the MD of Mahindra, had remarked that body-on-ladder sUVs such as the Scorpio and TUV300 would not be electrified due to the sheer weight involved, and that his company is looking at monocoque vehicles – such as the KUV100 and XUV500 – for electrification. Just days ago, Dr. Goenka confirmed two new electric vehicles from Mahindra, to be launched in 2018 and 2019 respectively. While he declined to name the vehicles, he did add that they’ll be from the automaker’s current portfolio of cars and SUVs. One vehicle likely for electrification is the KUV100 micro crossover. 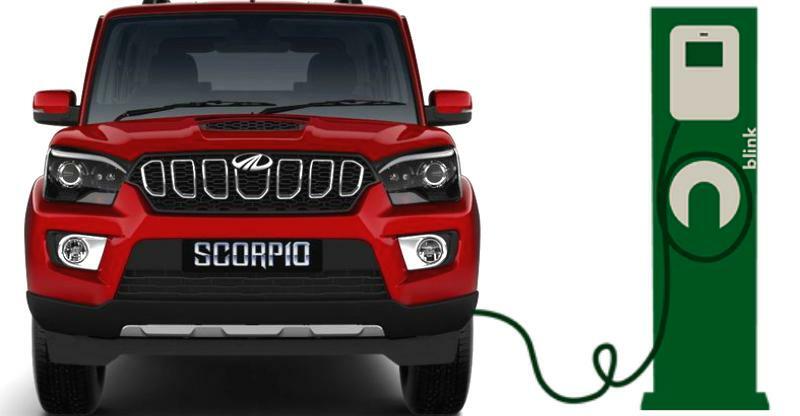 With this development about the Scorpio Electric arriving in 2019, the SUV could very well be the second new electric vehicle that Mahindra has planned for the Indian market. Currently, Mahindra sells 3 electric cars in India – the E2O 2 door hatchback, the E2O Plus 4 door hatchback and the eVerito sedan. All three cars are poor sellers as they are saddled with high price tags, which make them unattractive to buyers, especially when compared to petrol and diesel cars. To make future electric vehicles successful in the Indian market, Mahindra will have to find the sweet spot in terms of pricing, and also needs to add battery range. Currently, the farthest a Mahindra-badged electric vehicle (E2O Plus) can go is 140 kilometers per charge. The automaker will also supply an upgraded version of the eVerito to the Indian government, and this car will be able to do 135 kilometers per charge. So, the technology to boost range certainly exists. For an electric car to replace a conventional petrol/diesel powered car, a battery range of about 300 kilometers is likely to be what the market demands. It’ll be interesting to see if Mahindra manages something similar with the Scorpio Electric, an SUV that’s already weighed down by its ladder frame chassis. The big question remains, can the automaker manage to build a high-range electric SUV, affordably.